Thread: POI shift when a barrel gets heated up? Does anyone know what could have happened there? Maybe barrel overheated? If so, can you only expect 4 good shots out of a factory barrel? Check your scope mounts first up. Bagheera and Hunt4life like this. i think its pretty standard to get groups open up as the barrel heats up. feel the barrel, let it cool down a bit and go again. heavier the barrel the more shots you can generally string together. once i have fired 3 or so shots i generally wait to its luke warm to the touch then carry on, gauging barrel temp as i go. thats my take on it. i think custom barrels dont seem to open up as much with strings of shots from what i have seen. Pretty normal unless the barrel is a stupidly heavy one. Take your time between shots to let the barrel cool a bit. A7 is a hunting rifle not a heavy barrel range queen, I would think 5 shots then let it cool down before next lot, I usually do 3 shot groups with my hunting rifle, hell if I can't kill it with 3 I shouldn't be shooting at it. 1 is usually enough. Don't get to caught up with range groups as long as it can group on a cold barrel it'll be right for hunting. Hunt4life, madmaori, chainsaw and 3 others like this. Sako 85 are spec'd for 5 shots moa and I can't see it stated different for the A7. TRG42 in 308 is 0.5 moa x5 shots while the 44 in 338LM is back to 1 moa. . Tikka guarantee only 3 shots moa. However the A7 is one factory barrel that you can count on to shoot a string and probably a lot more than 5 shots actually. Random spread when your system/personal group is bigger. It's easy to get a sub string of 3 touching (with this rifle) but over many shots the total group size is a bit larger. Still all good though. Change in rest and sandbag use. Variable shooter technique eg changes position or hold as you fire more shots. If you have parallax adjustment that needs to be set for the distance you re shooting over. Change in ammo batch. Dirt, water or heated cartridges. Change in barrel fouling. Try cleaning for carbon and use a bronze brush every 10 rounds if it's a new barrel up to 100 round count, then for copper between sessions leaving bore tech eliminator in for 30min. Dont use Sweets copper solvent if new rifle. Last edited by Bagheera; 17-08-2018 at 03:52 PM. Something is amiss like scope mounts or rest or its your shooting. Wait until you get constant grouping before you worry about adjusting your scope. Yeah, in my experience with hot barrels the barrel will tend to "walk" or string in one direction. I would be checking scope, mounts, and that it's sitting bedded properly. had a similar thing with my first bergara single shot in 7mm08 . would get a group then adjust for it next group was way to far half the adjustment then the next group was only a quarter of the original adjustment .blamed myself as I get twitchy if I spend too much time trying to get a perfect sight hold .tried 4 separate times to get it sighted in eventually took it back to gunshop scope was tight and rail was good had one more go at sighting in then took it back again they sent it to the supplier or a gunsmith in nelson who had it for 4 months and they finally decided there was something wrong with the rifle got a replacement that I fired 4 rounds then found that the cartridge base was removing a circular patch off the breech face was then given a 243 breakdown version fitted the original scope sighted in with a box of ammo ,nobody could /would tell me what was wrong with the original rifle though. My new Tikka T3X in 6.5x55 doesn't seem to string shots when hot, it was pretty hot after these shots when sighting in and checking load velocity. 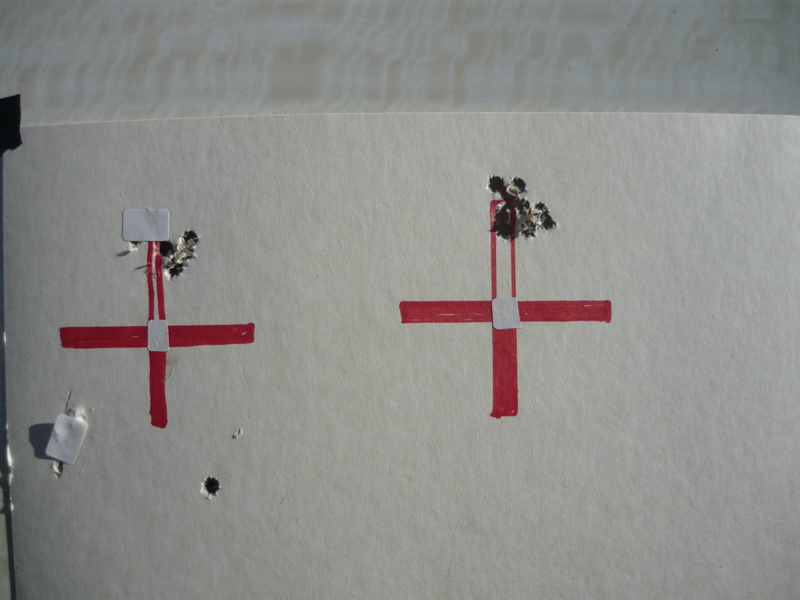 There are about 15 shots on those two targets and I didn't have a lot of time between shots. Beaker, Hunt4life and rewa like this. That looks mean! Was it at 100 metres? Read what cal it is! 6.5 X 55, is a laser. Was 100 yards (90 m) much the same. Tried it on the weekend at 500 yards and hit me gong a few times pretty close to the mark so happy with that, Beeman's 260 is going real well with the new Swaro HD 5 on top. The 6.5x55 is certainly a nice caliber to shoot when you are used to the big magnums, lot quitter too with the suppressor. Beaker and Hunt4life like this. What do you guys think of this heated apparel?